From Sarria, it is less than 120 km to Santiago. This is the last major city/town for pilgrim to start walking to Santiago in order to get their compostela (minimum 100 km on foot, 200 km on a bicycle). The city knows it, and that is why there are so many shops catering to walking/hiking gears. 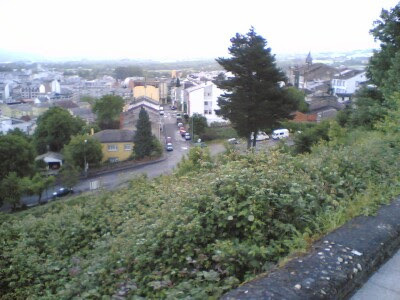 The city from the top of the hill. Church of San Salvador. 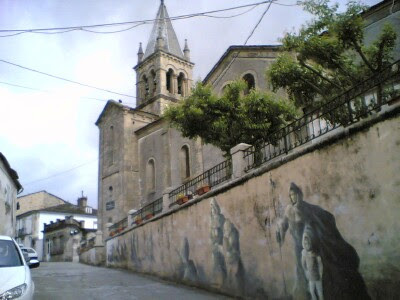 With well drawn pilgrim murals. The last building on the way out of Sarria. 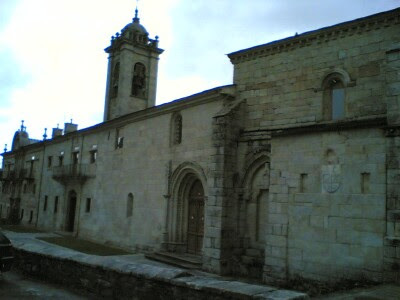 The Convent of La Magdalena.